Fear = I don’t know if I should share/try/deploy this new tech tool/teaching strategy/business model. It could fail catastrophically! Exhilaration = I can’t wait to try this out with my students/teachers/employees. This is going to make things so much better! I used to worry about sharing my work here on this blog and on social media. I was afraid that someone would “steal” my stuff. I imagined that another educator would scoop up my idea and claim it as their own in an article, a book or a tweet. But then I read Steal Like an Artist and Show Your Work by Austin Kleon and my mindset was TRANSFORMED! Mr. Kleon writes that you don’t have to be a genius (I’m definitely not) to share your work. He claims that we should make an effort to share something small every day emphasizing that you can’t find your voice if you don’t use it. Kleon also states that you should stick around and not give up so easily. 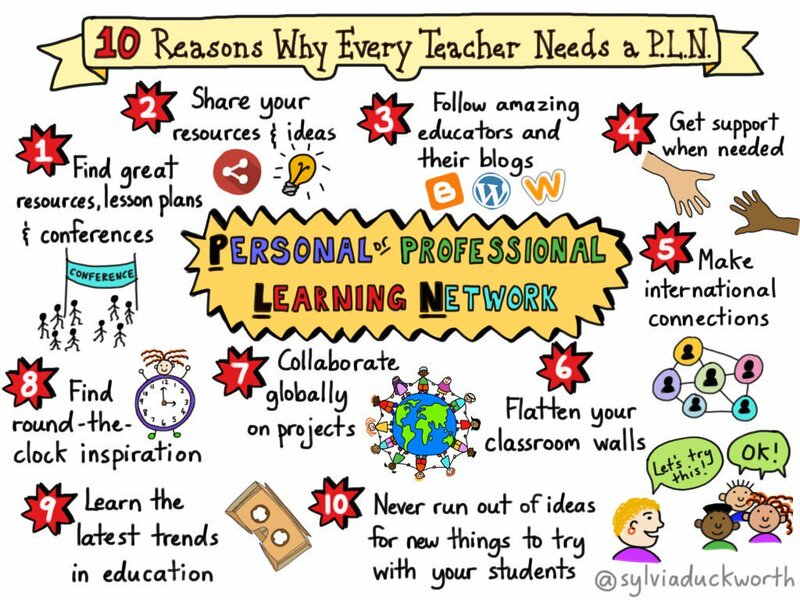 It takes time to build a following and those of us who have continued to share, post and tweet are reaping the benefits of establishing and maintaining a vibrant PLN (Personal Learning Network). This quote has inspired me to transform my fear into exhilaration and I plan to reflect on it when the “worry whispers” begin to create feelings of anxiety and doubt. Teaching isn’t just a job for me, it’s a calling – a career I’ve always wanted and one I am deeply proud of. I’m passionate about my profession and I make an effort to improve upon and add to my pedagogical repertoire on a daily basis. As someone famous once said, “The best teachers are also the best learners,” and I strive to learn as much as I can about education in the 21st century. 1. Stay Connected via Social Media – The education community is thriving on social media platforms like Twitter, Facebook, and Instagram (to a lesser extent). I credit my Personal Learning Network (PLN) for keeping me abreast of the latest education technology trends and pedagogical strategies. Professional development on Twitter has been a game-changer for me and I highly recommend you read the graphic below and join us. 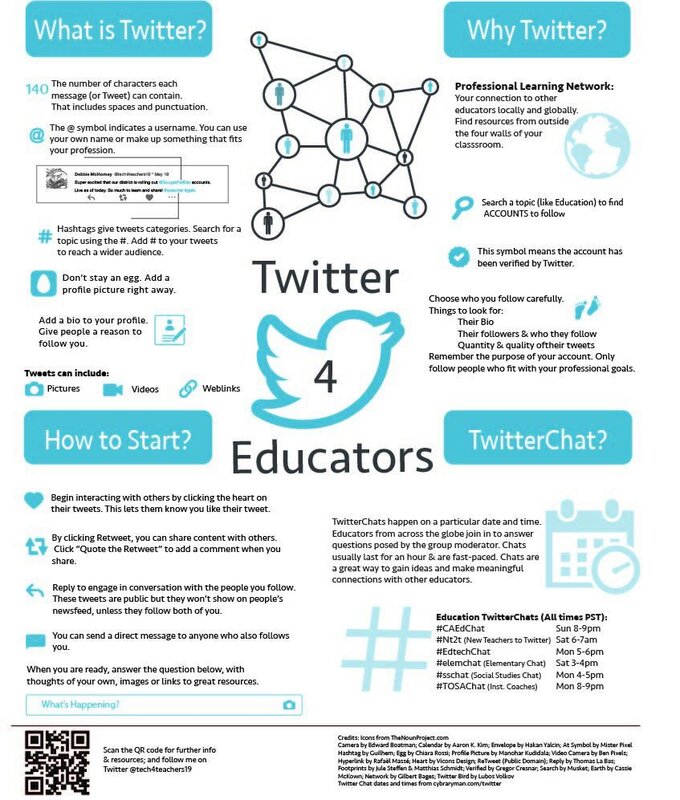 I also wrote about the awesome power of Twitter PD here. 2. Read and Discuss Professional Literature on a Daily Basis – This can be in the form of the most recent education books, journal articles, and blog posts. My goal is to read 25 pages a day. Some days I read more and some days I read less, but it evens out over the course of the year. Read the following article for more information on how to read more, “The Simple Plan To Read More”. Start a book club at your school in order to collaborate with colleagues as you dive deeper into the books you read. Can’t find anyone to join you? Head over to Twitter and/or Voxer to join one of the hundreds of book chats currently underway. 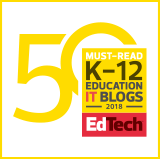 You can connect and collaborate with like-minded educators while discussing the latest thought-provoking titles. This is a true game-changer! 4. Share Your Work – My goal for 2016 was to present and speak at education conferences, workshops, and PD courses at least once a month. By pushing myself to write proposals to local, regional, national and international conferences, I have been able to meet and exceed that goal. This has greatly inspired and invigorated my teaching and leadership. I’m excited and honored to be speaking at my first international conference this June at ISTE 2017 in San Antonio. 5. Maximize Face-To-Face (F2F) Interactions – I believe it’s really important for educators to spend time with other members of our profession. It is refreshing to step out of the comfort zone of one’s school or district and meet teachers from different locales. I do this by attending education conferences, workshops, and EdCamps by myself so I’m forced to make new connections. Social media makes it easy to keep in touch with each other and continue to share innovative teaching ideas throughout the school year. I’ve made many valuable connections this way. I’m sure there are many other ways you stay current in your teaching and keep the learning going 365 days a year. Please leave a comment on this post if you’d like to add to the list I’ve started. Beware the Ghost of Christmas Past Practices! The ability to continually monitor and adjust one’s thinking is a characteristic I strive to instill in my students. Teachers can learn valuable messages from each of Dickens’ Christmas ghosts which can in turn be shared with their students. We must always be aware of the lessons from the past and the present as we make an effort to grow personally and professionally in order to optimize future learning experiences for ourselves and our charges. I believe it’s important to avoid complacency at all costs! Click the image below for further reading. Click the image below for my NYSCATE 2016 presentation resources. Coming soon!! My Genius Hour online graduate course. Click the image to access my 2016 NYSCATE Conference presentation resources. “During last month’s #FlocabChat, we talked about all things app smashing—using two or more edtech tools together in the classroom. Simple as that! Click the image below to view the discussion questions for this evening’s chat. Click the image below to access the Smore digital flyer for this session. Get a headstart on the new school year by setting up a Smore Digital Newsletter for 2016-2017. Create a Remind account and be ready to distribute join instructions on the first day of school. Replace your old Back-to-School PowerPoint with a brand new Google Slides presentation that can be shared with parents electronically. Click the image below for links to a multitude of teacher resources. Click the image above to view tonight’s #5thchat discussion questions.